Have you found an online vendor selling Six Saints Gold? I like the pleasant smell. Not too heavy, more light. Easy to sip and enough flavour to stand as a drink alone. Maybe you can mix this one as well. As it is from Grenada it's got to identify Grenada style. A little bit spicy in the after taste. Des parfums et des gouts surprenant. Peu de rhum de ce prix valent autant le cout d'etre dégustés que celui là. Au nez, on retrouve même des ressemblances avec avec certains jamaïcains d'exception (hampden par exemple). Ce rhum merite d'être plus connu. C'est une excellente surprise! Nice nose and palate with a quite long afterburn. It’s very fruity, a clear taste of citrus and banana. There’s also hints of spices which feels good for a rum from the island of spices. Shrnutí: Vůně je OK, chutí mě tento rum z Grenady moc neoslovil a k lepšímu výsledku by mu nepomohli ani všichni svatí. 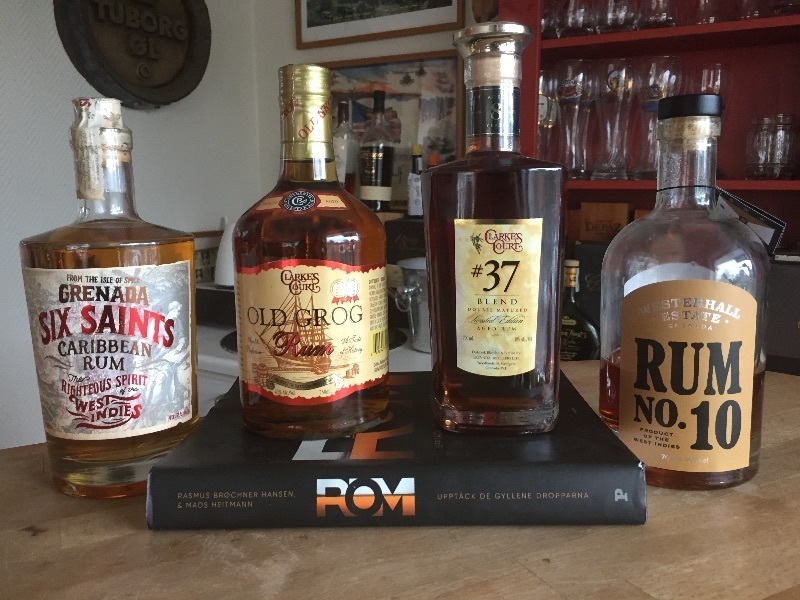 The fact that people know, that you are into rum gives them a chance to gift you different bottles for chistmas or birthdays. This is one of the bottles, that I have received without having any priot knowledge about it. While not great to me to sip straight, i started blending with Diet Coke. It's outstanding. You can pretty much do a 1:1 rum to coke ratio with some ice and the flavor is outstanding. Not much burn and goes down exceptionally smooth. 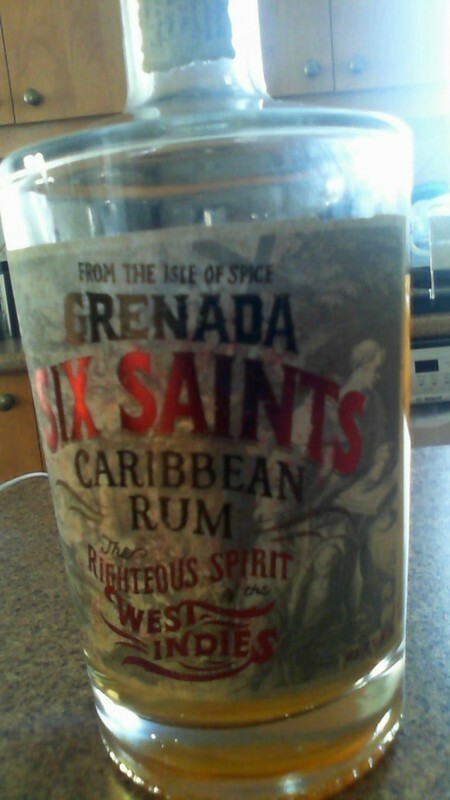 This rum is easily consumable and not a complex one. Flavour, taste and (short) finish are all dominated by aroma of pineapple and vanilla. As such it is light, quite sweet and fruity. Six Saints Gold is a dry Rhum Agricole which has a very distinct damp cellar flavor to it. Bottle looks nice, but the label is very touristy. Color is a typical Rhum Agricole, very light golden. Dry taste and burn is all you get. Rhum tres aromatique avec une belle attaque. Decent rum. Gets sweeter and smoother the more you taste. Nice flavour, but not worth the price. Overpriced. Very very very intense rum. Bold combination of spiciness and harshness. Many people will think its spiced, but its actually aged 6-8 years in american oak once filled with bourbon. This rum is surprisingly smooth, full body, and fine over ice. Hints of banana and citrus at first and hits the throats nicely. Ah, ein neuer Spieler auf den Feld. Die Nase lässt so einiges erahnen: trocken Früchte, Ananas. Im Gaumen kommt noch etwas Schärfe hinzu, absolut nicht süss ! Leider auch sehr wenig Tiefgang. Ah, a new player on the field. The nose makes a good impression: dry fruits, pineapple. In the palate is added some sharpness, absolutely not sweet! To much ethanol both on the nose and pallet. Citrus, peber and a really short burn. Zachte rum. Mooie kleur. Neutrale geur. Ideaal om mee te starten. J'ai acheter ce rhum sans le connaitre et ce fut une bonne surprise.